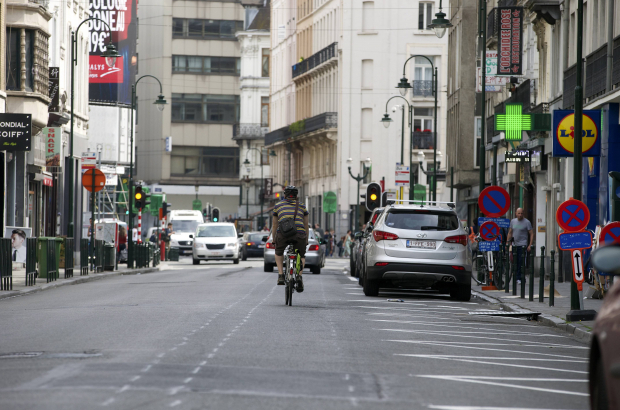 The Brussels-City/Ixelles police zone wrote out more than 1,100 fines for drivers in the month of March alone for infractions relating to putting pedestrians and cyclists in danger. Nearly 200 fines were handed out in the zone for parking on a cycle path, while another 183 went to cars parked on the pavement. More than 100 fines went to drivers who parked in a pedestrian zone. But by far the largest number – 640 – went to drivers who put pedestrians in danger by, for instance, blocking or not stopping at a pedestrian crossing. Also in March, police in the same zone handed out more than 790 fines for either not wearing a seatbelt or not putting children in a car seat. Oh boy - do we really still have to care for these things? It is incredible that pedestrian crossing, seat belt and child seat issues continue to be a problem in 2018. It would seem that there is a need for continuous communication. That being said, I am also baffled by the number of people using a cell phone in one hand, and driving with a cigaret in the other! And, I am stunned at the number of cyclists that do not pay attention to road safety. We all still have much to learn about sharing the roads with each other. And how many fines did they hand out to cyclists with no lights and no reflective jacket even at 11 pm and no respect for traffic lights or other road rules?